Hit the gym? Check. Exfoliate all those newly-exposed limbs? Check. Sunscreen? Absolutely. 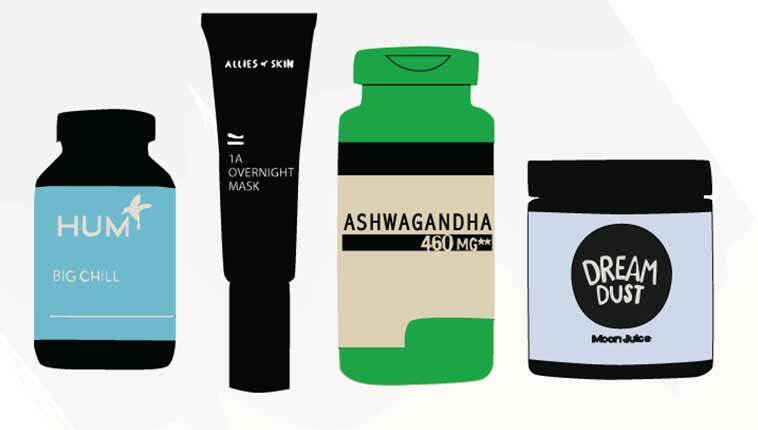 Summer preparation and protection is in full swing, and along with all the usual suspects, there are tons of herbal remedies—for hay fever, sunburn, over-taxed livers, and more. We turned to one of our medical herbalists, Daniela Turley, MCPP, AHG for the rundown on summer herbs. In the summer, grass pollen can make enjoying the warm weather miserable and popping hay fever pills can have side effects. For a natural alternative I suggest eating a teaspoon of local honey harvested during the season your hay fever strikes. I also recommend taking quercetin combined with vitamin C, which acts as a natural antihistamine. The dose varies, but 500mg three times a day is effective for most people. Drinking nettle tea throughout the day will also help, as it calms the histamine response and is packed with minerals. Hives are an unpleasant reaction to all that sweat and heat. As above, taking 500mg of quercetin three times a day and drinking nettle tea can help assuage the itching. A topical cream with licorice can have an anti-inflammatory, steroid-like effect. Internal licorice can also have the same calming effects. The herb of the moment, turmeric, contains curcumin, which is very anti-inflammatory and reduces allergic response. I suggest getting a formula with at least 50mg of curcumin with piperidine to aid absorption. You may also want to look into reducing foods that trigger histamine release. They include (among many more): beer and wine, mackerel, processed meats, mushrooms, and dried fruits. Help your tan along and protect your skin at the same time! Of course, the best protection for your skin is to stay out of the sun, but lets face it, we all get more sun exposure over the summer. Certain nutrients in foods and herbs help protect the skin from harmful UV rays. Beta carotene and lutein found in high levels in spinach and calendula (marigold) help protect the skin from UV damage. I add calendula petals to my Fresh Faced Skin Tea to support this function. You could try switching the kale in salads and juices to spinach over the summer months. Also, it’s a good idea to eat more tomatoes—not only are they at their most delicious in the summer, but research conducted at the University of Nottingham has seen tomatoes increasing the skin’s natural sun protection and producing a tan-like glow. The Vitamin E they contain protects the skin from photo-aging and the lycopene and carotene speeds up the tanning process giving the skin a natural glow that people perceived as more attractive than a regular suntan while also protecting skin further. Gazpacho anyone? Get your skin ready for the beach the natural way. I find one of the best natural tips for healthy summer skin is apple cider vinegar. I suggest adding 1 gram of l-ascorbic acid (that’s vitamin C) to 100 ml of vinegar. Keep it in the shower and splash all over your skin after you’ve finished showering. You’ll be amazed by how quickly your skin will feel softer due to optimizing the acid mantel as well as the brightening benefits of vitamin C. Finish off with your favorite skin oil. I love rosehip seed oil. If that all seems a little too homespun, you can try Derma-Lac by Environ, which gives very similar results. Love your liver. Tis the season for Bellinis on the beach and Tom Collins on the terrace, and if you’re not careful your body will start complaining about it. Taking a liver supporting herb is not only a good idea to protect your most metabolically active organ, but the bitter quality of most liver herbs also has an energetically cooling quality on the body. I suggest a good quality extract of milk thistle which contains at least 200mg of silymarin which, as well as being an antioxidant, helps to stabilize liver cell membranes and boosts liver levels of glutathione which protects liver cells from damage. A quick note: as always, check with your healthcare practitioner before starting supplements. These are general recommendations, and individual responses to remedies will vary. Seek out a qualified herbalist if these suggestions don’t fix the issue. Get serious about natural remedies: chili can actually make you live longer—scientific studies say so. Traveling abroad this summer? These are the best supplements to take. Daniela Turley BSc. (Hons.) 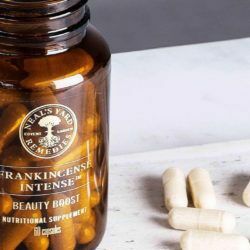 MCPP, AHG has been treating people using Herbal Medicine for over eleven years with clinics in both London and New York.